WALL MATS NOMINAL SIZE – 2m x 1m x 30mm. Wall Mats are fixed with a hook and loop attachment system. 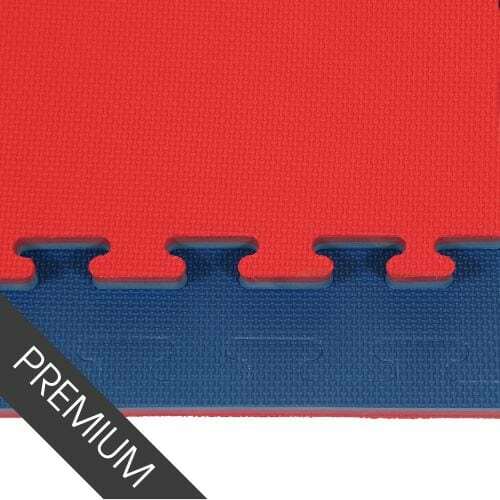 FLOOR MATS NOMINAL SIZE – 2m x 1m x 40mm. Plinths will be used if neccessary to secure the floor area. 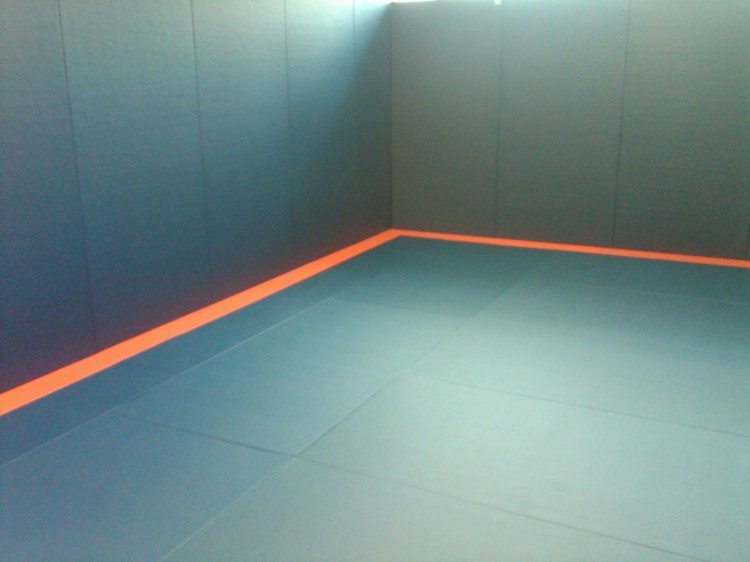 We have worked alongside a number of martial arts clubs and other venues across the UK to provide bespoke fitted DOJO mats. 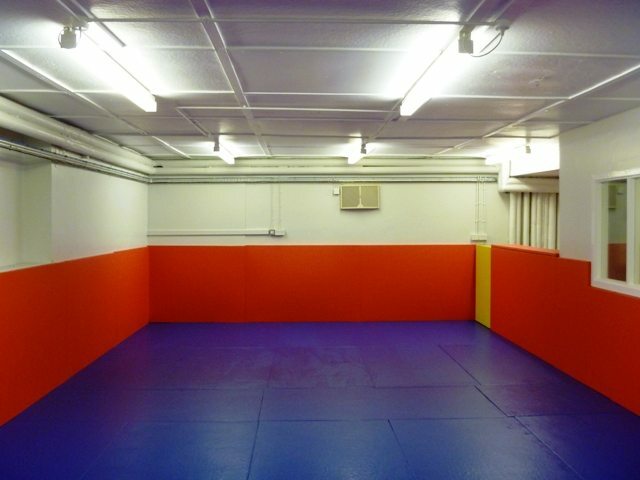 Fitted DOJOs or bespoke Control and Restraint Rooms are ideal for intensive training for a range of martial arts including Aikido, Judo, Ju-Jitsu, Karate, Mixed Martial Arts and Taekwondo. The mats provide a safe environment for practicing falls and can be used in many other sports and specific environments such as control and restraint rooms. The wall pads are both light weight and shock absorbing. They are fitted with hook and loop connectors as standard along the back face for easy installation and removal. If required the mats can also be supplied without hook and loop connectors to allow bonding direct to the wall. 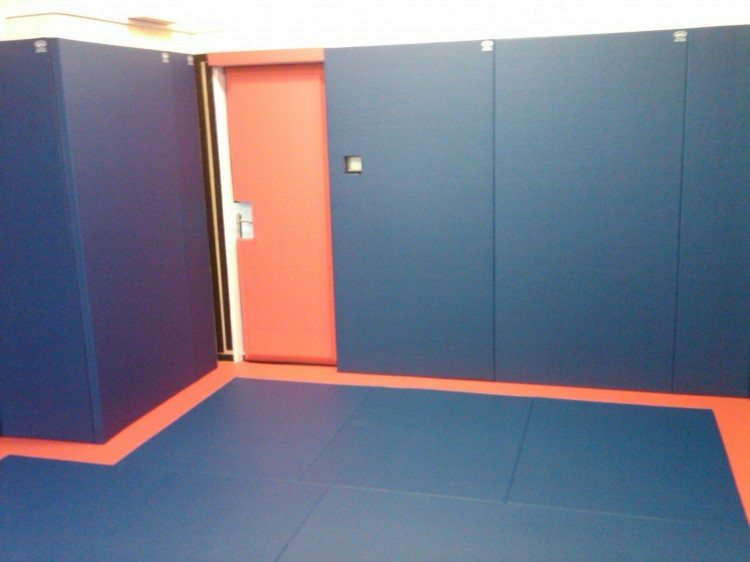 As a bespoke service the DOJO mats can be shaped to suit our customers’ needs to allow for light switches, sockets, windows, doors etc. Once fitted the area can be used for all martial arts disciplines, wrestling and personal safety training. A full site survey can be undertaken after confirmation of the order to ensure all measurements are correct and to answer any questions you may have. Our team have extensive experience in safety matting and can offer expert advice.